Although Discovery has finished her space flight career in style, she still has many months of processing ahead of her – as deserving work follows a pre-planned schedule towards her eventual ferry away from the Kennedy Space Center (KSC). Her final mission was flawless, earning managerial praise for the teams tasked with “finishing strong” during what is now the final months of the Space Shuttle Program. Officially tagged as Transition and Retirement (T&R) operations, Discovery still has many more months of work to undergo at KSC, including one more trip to the Vehicle Assembly Building (VAB). She headed back to her OPF with applause and tears from many of the crowd gathered at the space center last week, but it was notably pure professionalism from her workforce – in a sign of respect for the orbiter which many of her engineers regard as highly as the astronauts. Even official documentation shows the love that is embedded into the workforce for the veteran orbiter, as they prepare her for one more final flight, this time to a place of honor at an exhibition. 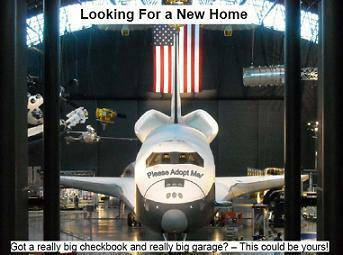 “Discovery (is) back on the ground and ready to begin her final processing flow. Although none of us are ready to put Discovery into retirement, the time has come for us to share her with the public,” noted one deservicing note (L2). “The official decision for where Discovery will be displayed has yet to be made, but we are anticipating the announcement in mid-April. Notably, with one Orbiter Processing Facility (OPF) soon to be handed over to what is rumored to be one of the USAF’s X-37Bs, only two OPFs will be available for what will be the deservicing of three orbiters, as Endeavour and Atlantis complete their final missions over the next few months. As such, Discovery will undergo Down Mission Processing (DMP) work in OPF-2 for two months, during which time she will be stripped of her Orbital Manuevering System (OMS) pods and Forward Reaction Control System (FRCS), prior to being rolled over to High Bay 4 (HB-4) of the VAB. “Roll in to OPF-2 (Please note: OPF-3 is being prepared for turnover to a future customer so we will be processing all T&R activities out of OPFs 1 & 2). Spend about two months performing standard Down Mission Processing activities and removing the OMS pods and FRCS,” added the information. A game of musical chairs will continue with the orbiters, as Discovery then moves to OPF-1 for a series of final T&R activities, which continues to follow a relatively recent plan to use Space Shuttle Main Engine (SSME) simulators, in order to save and preserve Discovery’s own SSMEs for a potential future role with the Space Launch System (SLS) – as was previously revealed by this site. 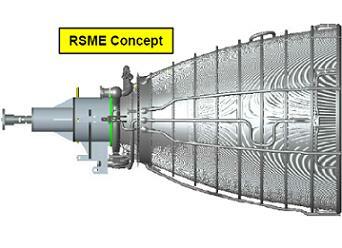 It was back in October of last year when a Program Requirements Control Board (PRCB) meeting recommended the orbiters should instead gain Replica Shuttle Main Engines (RSMEs) – previously scrapped nozzles installed via an adaptor – for when all three of the vehicles retire to exhibitions. However, it remains uncertain that the SLS will be a Shuttle Derived Heavy Lift Launch Vehicle (SD HLV), flying with SSMEs – which would use the current stock of RS-25Ds, before moving to a cheaper expendable RS-25E version. 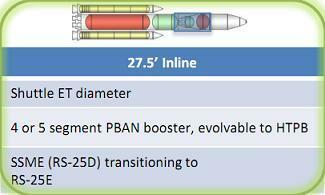 Agency and political evaluations are continuing on the ability to create the SLS both on cost and schedule. “Once OV-104 (Atlantis) rolls out of OPF-1, OV-103 will roll into OPF-1 to complete the remainder of the T&R flow,” the forward plan for the orbiters continued, “which includes: End State Safing – removing hazardous commodities and components from the vehicle. Preparation for Display – installing OMS pods, FRCS, and SSME simulators as well as preparing for ferry. 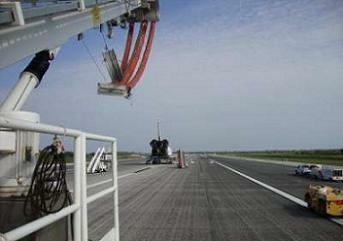 While the orbiters would be rolled to the Shuttle Landing Facility (SLF) to be mated atop of the SCA – not unlike the days where orbiters would be ferried to Palmdale, California, for Major Modification Periods (MMPs) – only KSC and Dryden Flight Research Facility (DFRC) have the Mate-Demate Facility available for the purpose of loading and indeed offloading an orbiter from a SCA. 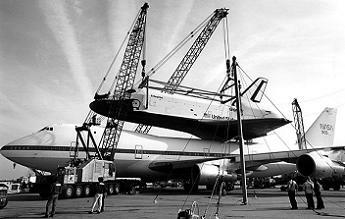 This would mean the final location for the orbiters would require two large cranes to help them off the SCA, as previously seen when Enterprise was delivered to the Smithsonian National Air and Space Museum in Washington, D.C. The current plan is expected to see the exhibition swapping the Enterprise test orbiter with the historic Discovery. It is not known where Enterprise would be relocated to, other than a large amount of engineering evaluations were carried out on her structure, so as to ensure her ability to be ferried to a new location. The results were deemed to be acceptable, showing the pathfinder was in a better-than-expected condition. It is possible that the final locations may start to be announced from mid-April, with a battle set to take place to attract one of the national treasures to their city. For now, Discovery is undergoing the opening work on the T&R plan, which is mainly related to the continued – and usual – safing of the vehicle, following her excellent performance on the STS-133 mission to the International Space Station (ISS). “OV-103 (OPF Bay 2): Roll-in operations are proceeding as planned. Fuel Cell cool down completed and SSME bearing drying has begun. PRSD (Power Reactant Storage and Distributation) Cryogenic Tank drain was completed,” added the NASA Test Director (NTD) report (L2). Praise for Discovery’s performance, the crew’s over-achievement of their mission objectives, and the safe conclusion to the flight was never lacking from managers, nor has praise for the overall team’s effort both before, during and after the mission, which specifically earned remarks from Space Shuttle Manager (SSP) manager John Shannon. “Discovery’s landing was an outstanding end to an amazing mission. STS-133 installed the last permanent pressurized module on the ISS, provided a large amount of logistics and critical spares, and positioned the ISS to aggressively pursue its function as a research laboratory,” noted Mr Shannon in an address to the workforce (L2). “The preparation for this mission really challenged the team. The issues that we had during the initial attempt in November were difficult and time-consuming to solve. The External Tank and Center Engineering teams did a terrific job in developing new testing and analysis methods that demonstrated that the tank was safe to fly. The training of a new crew member late in the flow challenged our schedule. As noted, managers were impressed by the professionalism of Discovery’s teams, as they greeted her on the SLF with the same dedication and attitude she had come to expect during all of her previous missions. Although this was clearly an emotional time, the orbiter crews – despite the looming end to their careers – continue to “finish strong”. “I was really struck by the “business as usual” attitude of the dedicated team that takes care of our Orbiters. Even though this was the last flight for Discovery, there was no visible negative emotion. Instead I saw extreme dedication to making sure that we do the job right and that we preserve this Program’s legacy,” added Mr Shannon. 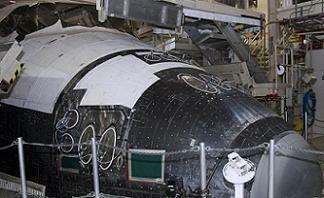 “It is vitally important that all elements of the program maintain this same attitude for our remaining two launches. We must stay focused, maintain our rigor, and make good decisions. The decisions we make as a team over the next several months will not only preserve the Shuttle legacy, but they will also demonstrate that this team is ready for the next challenge in Human Space Flight. “To those team members that have flown their last flight with us – You should walk away with your head held very high. You have built and kept safe a unique capability in the most extreme of environments. “I can only hope that others that come after us will look back at the Space Shuttle team and emulate the dedication, perseverance, and excellence that this team represents. If they do, we will have an outstanding human spaceflight program. For those team members remaining. (Further articles will follow, as we follow Discovery all the way to the exhibition. L2 members refer to L2’s ongoing coverage sections for internal coverage, presentations, images and and updates from engineers and managers. 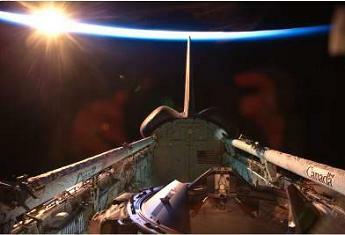 Images used: Lead: Larry Sullivan/MaxQ Entertainment/NASASpaceflight.com. All other images via L2, bar Ferry and OPF shots – via NASA.gov).